Meredith Graham, 27, of New Westminster, is the 2016 Courage To Come Back Award recipient in the Social Adversity category. Meredith’s childhood was influenced by her parents’ experiences of poverty, food scarcity, violence, periods of mental illness, and substance use. Meredith – from age eight on – was forced into the role of parent. She was diagnosed with depression and Obsessive-Compulsive Disorder at 13, bi-polar disorder at 18 and borderline personality disorder at 26. She ran away from home as a teen, couch-surfing with friends. In high school she used coping strategies that further put her health at risk, such as disordered eating. At the point where she could have given up, or worse, Meredith was embraced by people who cared: teachers and vice-principals at Princess Margaret Secondary School in Surrey. At 15, she now had a safe place to live with no more three-hour daily bus rides. She had medications, individual and group counselling, with support from psychologists, social workers, and, later, group home workers, women from her church, and landlords. Overcoming setbacks, she graduated from high school (and sang the national anthem at the convocation), completed the Performing Arts program at Capilano University, graduated with a diploma in Child and Youth Care Counselling from Douglas College and is now a student in the Bachelor of Child and Youth Care program. 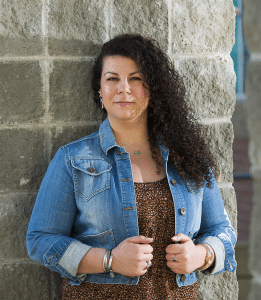 She is a youth and family development worker at St. Leonard’s Youth and Family Services in Burnaby, and has also made significant volunteer contributions in the community. 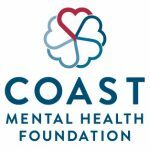 She initiated Peer Health Educators at Douglas College to teach students about improving mental health and was active in the Douglas College Miles for Mental Health Run/Walk, has contributed training materials for the education of social workers and serves on two volunteer boards for the Vancouver Foundation. She’s open about her history, giving interviews, speeches, and sharing her poetry to focus attention on the issues illustrated by her own life and the need for resources to help others.